As a keen DIY enthusiast, my 2001 V70 petrol estate has proven to be a supremely comfortable and accommodating estate and find the flexibility that the forward folding front seats have is particularly useful. I had intended to purchase a 2 year old D4 V70, but I am now concerned about reliability and running costs of a second hand 2 year old diesel. 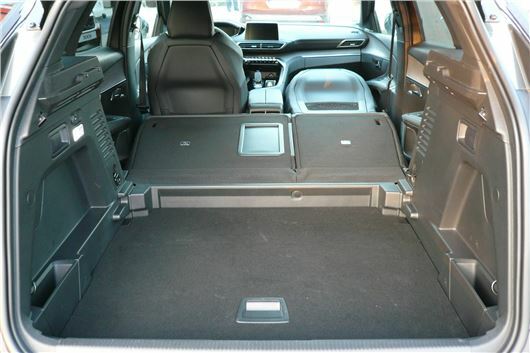 Are you aware of a current petrol estate with folding front seats and a degree of comfort and reliability? Alternatively, are you aware of a folding front seat conversion? I bought my 2015 Toyota Auris Hybrid new from Motorpoint. It was a RoI import, pre registered, so I am the second owner. I have the V5, which is all in order. My problem is that the registration number is not recognised by most of the websites that identify the car by the reg for example: Insurance, tyres, valuation sites (a couple of insurance websites do). Also, the ‘My Toyota’ site doesn't recognise the registration, or the VIN. Is there anything I can do about it? Will this cause a problem when I come to sell/trade in? This is because it's a used import from another country and not an original UK market car. It would not be on Toyota's system because Toyota did not import it. But it should be on the DVLA system. That is this site: https://www.gov.uk/get-vehicle-information-from-dvla/ It is NOT: http://vehicleinformation.uk/search?gclid=CLrFuMjZ6dACFUi6GwodMygIlA/ And it is NOT: https://www.whatdotheyknow.com/body/dvla?gclid=CKvX4tXZ6dACFSoW0wodqXMOBw/ Both of these are imposter sites that pay Google to come top of the page. I have not seen any comments in your columns in connection with the performance of modern folding hardtops on BMW cars. Would you be able to provide advice as to whether they perform satisfactorily in the long term? I am having to consider one as there are few true soft top convertibles available which do not use up most of the bout space for storage. The latest 4 Series BMW convertible also has even more mechanism to go wrong. I need to pull a 1,700kg caravan and I am looking for a suitable convertible. You can look it all up here in the 'Good and Bad' sections for each car: /carbycar?/ To help, there were some problems with the E93 folding hard top: /carbycar/bmw/3-series-convertible-e93-2007/?section=good/ Nothing yet on the F33 4-Series convertible. I should add that we only record actual reports received. Nothing anecdotal, from forums or from other websites for obvious legal reasons. My wife and I are about to buy a caravan and a new car to tow it, but I don’t want a diesel SUV. However, I do want a 4x4 and something with plenty of power, so I am thinking of a Skoda Superb 2.0 TSI 276hp. My only reservation is that I used to own a 2011 1.8 TSI Superb that suffered from excessive oil consumption. Can you tell me if the current 2.0 TSI engine is more reliable? Also is the DSG gearbox wet clutch, which I believe is more robust? The EA888 2.0TSI engine is much improved with heat-efficient exhaust-manifold-in-head construction and direct as well as indirect injection to prevent the inlet valves accumulating carbon deposits. It's been around for more than 3 years now in various VAG vehicles and I have yet to hear of any problems with it. Whether your car comes with the old 6-speed high torque DSG or the new 7-speed high torque DSG, both are wet clutch. The dry clutch 7-speed DSG was only fitted up to 1.4TSI petrol or 1.6TDI diesel. My wife and I are retired and living on a fixed income. In July this year we purchased a brand new Smart ForFour White Edition, replacing our Smart Cabriolet and were expecting similar mpg. Indeed, the sales brochure handed to us at the time of purchase indicated 54.3, 78.5 and 67.3 mpg for the three cycles for the 898cc 90hp turbo petrol engined automatic. After driving it for 4 months and 3,500 miles we are disappointed to be only achieving a combined cycle of 42.7mpg. The onboard computer has calculated this to be the case and so have we, with a pen and paper. A recent Emissions Analytics survey found on the Internet recorded an even lower 36.2mpg for this car, a 42% reduction on expectation. Our recent visit to the local Mercedes/Smart, Northampton dealership to check this out elicited comment from a senior engineer that we were far too soon as this engine would not reached best economical performance until it had covered 10,000 miles. The car is excellent in all other respects but we feel duped by the figures and narked by the casual attitude of the dealer - whose representative accused us of an erratic driving style - explaining the anomaly away as: "All car brands do this and there is nothing they can do about it. It is what it is!" As a purveyor of honesty, your observations would be greatly appreciated. The Real MPG for your car is 40.8mpg: /realmpg/smart/forfour-2014/ You should never believe the NEDC lab test figures but, unfortunately, for comparison purposes, these are the only figures that manufacturers are legally allowed to publicise. Not the manufacturer's fault. The fault of a test regime that manufacturers are obliged to tune their motors for at the expense of Real MPG. There are proposals to change the test regime to make it more realistic and that is why, from April 2017, new cars in the UK will no longer be annually taxed on their NEDC mpg and CO2 emissions. This morning we went to the Saturday morning fish stall in Highcliffe. We departed from home at about 07.30 It was twilight; misty and foggy; it was drizzling. At a rough estimate, half the cars on the road were on parking lights. A few had no lights whatsoever, for example a dark grey Honda Civic. Crazy. You are one of the few that describe parking lights correctly. I still get readers writing to me about driving on "sidelights" and complaining that the back-lighting of their speedos does not come on with the "sidelights". They get shirty when I explain that the speedo lighting is not supposed to come on when the car is parked. I have a 97,000 mile Mercedes C220 Estate SE manual, registered October 2012, previously Lex lease, owned by me since March 2015. 97,000 miles. The clutch is usually OK, but sometimes it grabs or judders when moving off. This can be mild or very marked. Doesn’t seem related to hot/cold, distance driven that day, etc. Can you tell if this is characteristic of the model, or indicating a developing problem? The car has good points, but also bad and I’m not attached to it. Everyone said it was a mistake to buy a manual Mercedes. It will be the dual mass flywheel that is there to absorb torque between the engine and the transmission. 97,000 miles could be getting close to the end of its life. I read your advice suggesting that modern diesels are not good long-term options. I am thinking of trading in my BMW 730d, which I love and which is just over 3 years old with no major costs to date. As I am now 73 and do fewer miles than previously (about 10k per year) I was thinking of changing to petrol, or even hybrid if there was anything feasible. Also, in view of my advancing years, I was considering opting for a good quality SUV and keeping it for the foreseeable future. I would be grateful for any advice you may have. PHEV hybrid SUVs now include a BMW X5 4.0e, as well as the non-plug-in Lexus RX and NX models. Lower down the scale, the Mitsubishi Outlander PHEV and there are a lot more waiting in the wings from Audi and Mercedes. There was a previous model Q5 hybrid in Europe that never came to the UK, but the new one surely will. I have a Toyota RAV-4 with 78,000 miles, owned since new. It has been a wonderful car and at a recent service the mechanic asked me that if I was thinking of selling could he have first option? There are no known problems. If I were to replace it, what would be a reasonable choice? Definitely a 4x4 petrol, and, as I am retired I have a low mileage need. Suzuki Vitara 1.4S 1.4T BoosterJet 4x4, or a Peugeot 2008 1.2 Puretech 130 with Grip Control or a bigger Peugeot 3008 1.2 Puretech 130 with Grip Control. Last Thursday, for the first time, the tyre pressure indicator showed yellow on my 2015 Corsa 1.2. I could find no evidence of changed tyre pressures so took the vehicle my local independent garage who diagnosed a significant change in air temperature as the cause, and informed me that I was about the third person to report this "problem" Is this something that you have experienced? Yes. Temperature can make 3PSI to 4PSI difference. Pressures should always be checked when tyres are cold. I recommend a fairly general 30 - 31 PSI for hatchbacks and 31 - 32 PSI for SUVs with sensible tyres (55 profile or more). As the tyres heat up, the pressures increase, by up to 4PSI on a long motorway run. My 5-year old Mercedes B200 has performed reasonably impeccably until now. 4 weeks ago I inserted the ignition key (and the spare), to be confronted with nothing at all despite all the electricals working. My local garage diagnosed a faulty EIS unit, which was replaced at a cost of nearly £500. I used the car without any trouble for exactly one week before it went totally dead on me again. Since then, it has remained back at the garage who appear to be at a total loss what to suggest. Can you help please? It is becoming increasingly popular to advise locals of speed traps and Police doing breathalyser stops via Facebook posts. Is this illegal? It probably could be construed as "interfering with the police in the course of their duty". Lets wait and see if the police prosecute anyone. I have a 2015 BMW 118i. I like the car very much. I am 79. My life has involved many miles of driving many different types of motorcars from the early 1950s as a rep and, as life moved on, many cars including Volvos BMWs and Jaguars. I had long since convinced myself that if a car was using oil it was due to wear or maybe leakage. I had become used to it being very unusual to find any need to top up oil between scheduled services. Yes, the level should be checked, but rarely required any attention. I have had my BMW 118i for six months now, having acquired it from a BMW dealer as an ex demonstrator. When it was handed over to me I asked about service needs and was told you don't even need to think about it, the car will tell you when and what it needs." I asked if that meant checking oil etc., etc., and was told "yes." I was surprised the other day to see a reading come up saying, ‘please top up a litre of oil as soon as possible’, so I asked the garage did they think there could be a problem? They said no problem modern engines use oil and because they do it is not an indication of a problem. I have asked a number of my pals around and they all say, “yes lots of cars now do use oil.” So am I out of touch thinking that if a car is using oil it is a problem? In the good old days you used to change the oil in a car engine every 3,000 miles. A BMW 'service indicator' night not indicate that you need a change of oil for 20,000 miles. So if you top up oil by 1 litre at a time you will have effectively changed the engine oil around twice, maybe three times in those 20,000 miles. My advice is to change the oil and filter every 10,000 miles and if you do that you might have to top up once between oil changes. More than that, something is wrong. In October 2013 I purchased a new Audi A1 TFSI. With my purchase I also had a 5-year fixed priced service plan and as I was retiring I felt this would provide me with little or no cost surprises for a 5-year period. When purchasing my Audi I was asked how many miles per annum I anticipated and, because I was retiring, I advised the Sales person on average 5,000. To date I have reached 13,000 miles, all within my advised figure. I duly received a letter from Audi UK, Milton Keynes advising items (a) to (f) listed were included and to “please make sure all the scheduled service work is finished before your plan ends 24/10/2018 or before 50,000 miles.” My local Audi garage has advised me that this letter is incorrect and should have included a statement advising that unless I reached the Service Manual required mileage, I could not have the items completed under the Fixed Price Service Plan? For example, spark plugs, according to the Service Manual require changing at 38,000 miles or 6 years, and my confirmation letter mentioned above includes spark plug change. I have written twice to Audi UK, and have received no reply. I feel as though I have been sold a product that was never going to fit my needs because my mileage was going to be so low. Your advice would be welcome. Standard answer that I have repeated hundreds of times and dozens of times in the column. Never buy a service plan unless it provides an oil and filter change at least every 12 months or every 10,000 miles whichever comes first. The usually only cover minimal, basic and I think inadequate servicing. In my view a car engine needs an oil and filter change at least every 12 months or every 10,000 miles and most service plans only allow for this when indicated, which can be 2 years and 20,000 miles plus. Read the service contract very carefully and compare that with what you have been advised that the car needs. If this advice came from the dealer that sold you the service plan, then demand that the items are carried out within it. I found your advice titled Age Concern in today's DT to get rid of modern diesel cars older than three to five years old rather alarming. We have a three-year old diesel Nissan Juke and a two-year old diesel Honda CRV. Do you advise that we should swap them for petrol models soon? Or was your advice tailored to modern Audi diesels? Is this the death of diesel driven family cars? Legislation whether local, national or international is moving against diesels and that is in addition to the colossal cost of maintaining them by having to replace emissions reduction devices such as EGRs and DPFs, so I don't regard them as viable long-term propositions.